Defense Secretary Chuck Hagel appears at a Senate Armed Services Committee hearing in March. Defense Secretary Chuck Hagel is stepping down. He has been in the position for 634 days — less than two years. That may sound brief, but by history’s standard, Hagel’s tenure is almost perfectly normal. Hagel is pretty much at the median. His more immediate predecessors served longer terms. Rumsfeld’s second tenure lasted more than five years, and Robert M. Gates served for three-and-a-half years. Then again, Leon Panetta, who served right before Hagel, lasted just a little over 600 days. Hagel’s short tenure seems a little more unusual because it came in the middle of a president’s term. 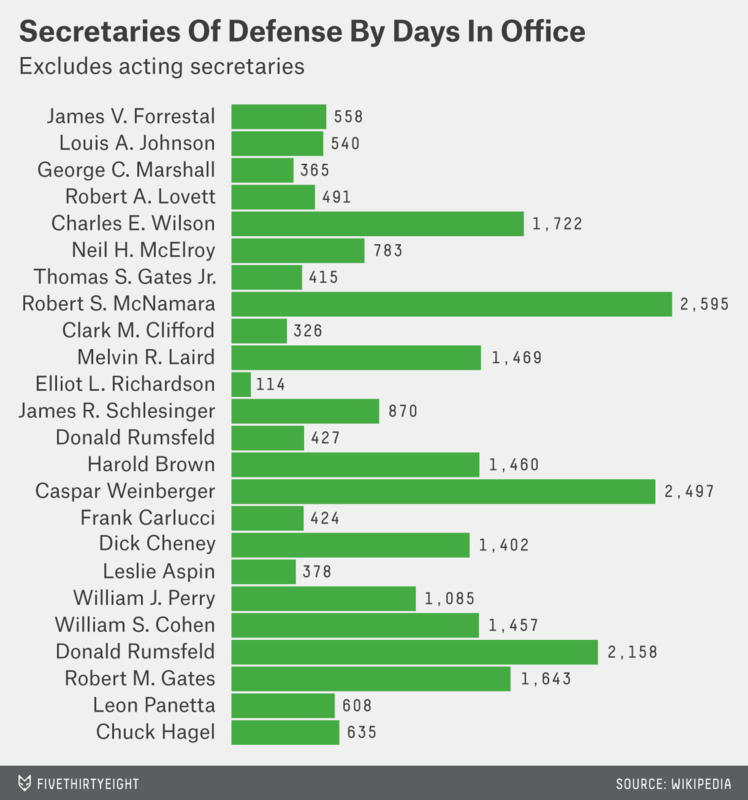 Excluding those who left office after a change in administration, six of 16 (38 percent) defense secretaries held the position for less time than Hagel.